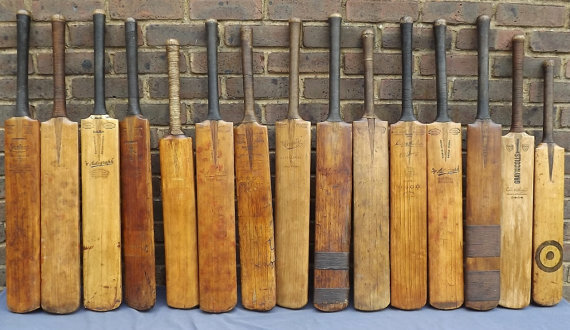 Almost all the crickets’ fans know about the English willow bats. They are considered the finest wood to make a cricket bat. Back in days and even today some of the legends of cricket prefer it over any other kind. But this story is not about that but it’s about the owner of that cricket bat. I was fourteen than, just promoted to 8th standard. During the adolescence period, we all encounter that serious urge to have an idol, whom we can follow, a hero, an icon. Mostly they are legends of sports or in real life the elderly young and popular guy in your neighborhood. Robin da was a prodigy, equally good at sports and other activities, plays & theatres, poet recitation, a star cricketer for his college team and an awesome singer. During our childhood we were watching him with awe, wanted be like him. He was our ‘go to man’ for any trouble. He had cricket bat, a UK made English willow once gifted by a distant uncle of his. That was his life literally. He hardly let any one touch it, even his closest friend. As being a kid then I was obsessed with that bat, always wanted to play with it. Robin da was fond of me, in fact because of his backing I used to be included in colony cricket team. But he never either let me touch that bat. Our next door family was really close to us. Their eldest daughter Neelima, she was very talented, Very good at studies, good in music and arts and probably the most beautiful girl in our neighborhood. Neelu di (Di again is the short form of didi, which means elder sister and again in most of the eastern part it’s use to address) as I called her and Robin da was in same college. She was in 2nd year arts group, Robin da was in 3rd year B.Sc. We all knew they like each other. But they never spoke to each other till date. Not even a word. Neelu di was so very fond of me. I was her sweet and younger brother from other parents. I liked her too. My friends used to pass comments about Robin da and Neelu di but I was absolutely reluctant that time about so. It was in the month of January, our winter vacation was just ended. Robin da called me to his house. “Would you do something for me”, he asked. “Sure, why not, tell me.”, I replied. He pulled out an envelope and gave it to me. As soon as I had it, I was trying to open it. I knew what that means and I would do it happily but then the Lucifer whispered in my ear. I could see his uneasiness, not because that he didn’t trust me with it but he never shared his bat with me. “Take it or leave it. Either let me play with you bat or find a pigeon to deliver you letter”, I made a face. “Ok, but I want it back right after the match, and this will be the last time. And don’t you forget to give this to Neelu first.” He said while handing over the bat and the envelope. I hardly listened to him finishing his sentence, I snatched both the letter and the bat ran to the ground. The experience of playing with that bat was out of the world. Smooth grip, slight curvature of its surface. As expected I completely forgot about the letter. I was dumbfounded and started to stammer. “I.. I forgot, I’ll give it to her tomorrow. ‘Thud!’ there was a sound and for few seconds I could see only darkness. It was a heavy and powerful slap from Robin da, while he was yelling at me I was still gaining my senses. I almost ran out of his house while trying to hide my tears, I never expected Robin da to hit me that too so hard. All my respect and love for him was vanished in thin air. I came back home, but returning home, I finished my unfinished job. I went to Neelu di’s place; she was outside so I waited for her till she came back. “Neelu di, here’s a letter for you, from Robin da”, I gave it to her. “Oh! What is in it?” She smiled and took it. “How would I know, maybe he wrote how much he loves you an all”, I spoke uninterestedly. “And how you know all that?” she asked mischievously. “Well he definitely likes you more than anyone else, that’s for sure. For you he can hit me also”. I voice was full of pain and anger. “What are you talking about? Why your left cheek is so red”, she tried to touch my cheek. “None of your business.” I spoke those words and ran out of her home as well. Me and Robin da was started to grow apart from that day. I was now more interested in football, almost stopped talking to him. He sensed that, he tried to apologies but I was in no mood to hear him out. After almost a year passed, one day after a match when I came back home I was surprised see Robin da at my place waiting for me. He almost pushed to my room, I was wondering why he was doing that, and then I saw it in his hand. “Here, it’s yours”, in his extended hand it was the English willow. “You keep it, I don’t need it. I even stopped playing cricket”. I was unmoved. “Why such change of heart suddenly”, I asked sarcastically. He smiled, “Neelu came and spoke to me today”. Though I was angry with him, this news made me happy, at last they together, at last they spoke to each other. I was happy for them. “I am buying a new one idiot”, he laughed. “Ah, so that’s why you are giving me the old one? Ok, forgiven, but not before you give us a grand treat”, Now the tension between us was slowly easing out. “Sure thing.’ He smiled again, “Now you take good care of my willow”. That day night Robin da hanged himself. Police found his note which said ‘no one is responsible for my death’. I guess Neelu di herself told him, how her parents found a perfect match for her, a doctor from another city. They did not want to lose such a golden alliance and wanted to marry her off as soon as possible. Few days after that incident Neelu di got married and move to another city. That night I did not go to hospital to see our Robin da for the last time, though all my family members went. I did not even go to the cremation ground. I cried whole night hugging that bat. And never I did forgive Neelu di,never!